to receive free email updates! Have you ever chanced upon random people on the street, looked past the time-weathered lines on their faces, and seen the kindness that is their soul? Do you wonder, when for a brief moment your glance falls on someone out there (they could be anywhere), what beautiful stories their years of history have woven? The stories which form a part of everyone’s life, whether their days are spent hunched in the rice fields of Thailand, filled with never ending hours of back-breaking labor under the harsh Asian sun; whether they are artists drawing the beauty of life in some romantic street in Paris, the City of Light; or whether their precious after-work hours are spent in their warm cozy kitchens, stirring a large pot of warm beef stew, frozen in the aromatic swirls of freshly minced parsley and sizzling garlic. If you look closely enough, or pay that little bit more of attention, you’ll realize it’s not difficult to see that in every face and person our lives cross, there are stories to tell. Stories which break your heart, because of the injustice in life, an inevitable result of being born in the wrong place, at the wrong time; or maybe stories that thrill you beyond belief, giving you hope and trust in love, in a time where kindness can be scarce; or maybe just tales of a simple life, of hushed conversations over a kitchen table whose surface has seen cakes, muffins and homemade jams. Humans who crave love, attention, and kindness. People who hang onto a good story well-told, because we need to have hope for a better tomorrow. Girls and boys who read and hear about others, and sigh with relief as they learn that they are not alone. It’s the stories and tales we are all hungry for. They drive our decisions, our perspective in lives, and our dreams for the future. They are also what people all over the world seek, and when they find a story, and a good story-teller, they don’t let that go, because the painted imagery and heartfelt words give them something worthwhile to hold on to. Unfolding tales & stories of life in a another land..
It’s kind of the same with blogs I’ve realized – and food blogs in particular. Whether it’s a post about grandma’s lemon squares, or divine chocolate frosting cupcakes, or butternut squash and mushroom risotto, the reader is searching for the secret ingredient – above and beyond the detailed recipes or the perfectly photoshopped pictures – the ingredient which spins a beautiful tale and momentarily transports you to another place and time. The stories which cause us to hold our breath for a fraction of a second, as we sit perched on the edge of our seats, feeling part of the unfolding tale. They are what makes us feel alive, present and strong. Not just stories for the sake of them, but stories filled with depth and bursting with history and sincerity, of the thoughts which take one captive, of the path one has shown before him. There are millions of places to find breathtaking pictures of luscious cakes and mouthwatering food, just like there are millions of recipes all over the Internet, waiting to be discovered and cooked. But more importantly, there are billions (yes billions, because we are 7 billion in the world) of inspiring stories out there which we continually discover, and suddenly the place where you first heard a story is no longer just a random food blog, it has because a cove of treasured tales and anecdotes about the writer’s life – and that is what we hold onto. When 2013 started I challenged myself to live a bigger life, to use my words to impact those who read them. At that point I didn’t have a strong, clear idea about how exactly I was to do that. Then over the past few days, it seemed that every time I check Twitter, people are talking about telling stories. Every time I read a post I am fascinated and enchanted by, I realize that it’s the story behind the dish, and not really the recipe that hooks me. And when I look upon the face of a random person walking in the street, I stop for a moment and wonder what stories they have to tell. Now I’m sure and know what I want for this blog. Dish by Dish is still a small blog, just a drop in the ocean, but then again, what is an ocean but an infinite number of drops? So I tell you now, because stating something publicly holds you accountable to it, that I will try to be a good story teller. I will try to intertwine stories with food and recipes, and stories may sometimes come first, and food second – but ultimately I aim to create something for someone to hold onto, to inspire, to be a source of hope. And if you have stories to tell, please let this space be free for you to give and share. Let us tell stories together. Hey you! 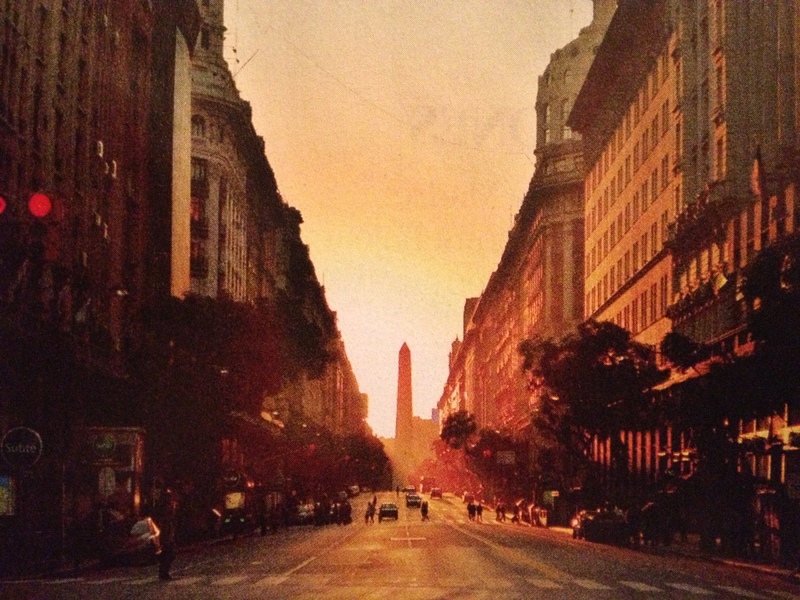 I’m Felicia, a Singaporean girl who moved to Buenos Aires for love. A couple of things about me: I love food, writing and food photography. I wrote a grain-free ecookbook that I know you’ll love and I also do freelance writing and photography if you want to work with me. Follow me on this blog as I navigate the world of cooking gluten-free, dairy-free and egg-free. Did you make a recipe? Tag @felicialimhz on Instagram. I love to see what you cook! Min! you are soooo sweet! I’m really glad we’ve become friends via our food blogs! And you know what? I really enjoy reading yours posts too! And you write well, so don’t underestimate your skills!! Plus your photos are lovely! I have tons to work on in the photography area! Actually I feel the same too – like I’ve known you for a long time already! Somehow I can feel your sincerity and honest bubbliness when I read your posts and your comments – so if I ever am in Texas or if you’re ever in Argentina….we have to meet up!!!! Coffee, tea, cooking in the kitchen whatever!!! big hug to you and Tim! Happy weekend dear! Felicia, you truly have a gift. You don’t need to try..you’re already a phenomenal story teller! Although I’ve only been following your blog for a short time (so glad I Dish by Dish!! ), I feel as though I’ve known you for years and have had many conversations. Reading your words makes me want to sit down with you, sip on some coffee or tea…no scratch that! 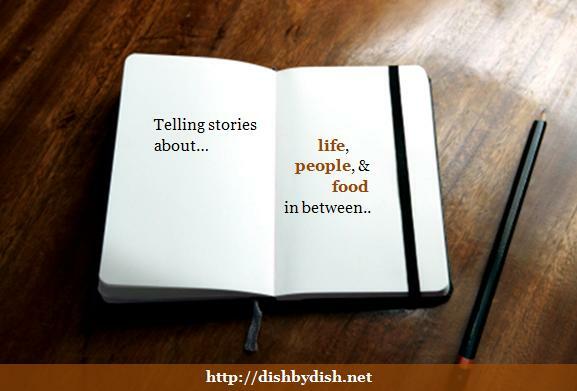 get in the kitchen and get our hands dirty while swapping stories. You’re right..there are TONS of food blogs out there, and what drives me to come visit yours and leaves me begging for more are all the wonderful stories and memories associated with the scrumptious eats. I want to think that I have a lot of stories to share, and I want to make every effort to do so. I’m not, by any means, an excellent writer like you, but it doesn’t take eloquent and pretentious words to be relatable. Hope you have a blessed weekend! thanks you for being so encouraging, as always!! I link to other blogs which I personally enjoy reading, and yours never fails to entertain, make me laugh or strike a chord in my heart! Cheers to a great 2013 for both our blogs!! Ah I realize that going to university soon is another chapter in my life, with plenty of new cooking and food cultures to learn! University was one of the best parts of my life! I’m sure you will have a great time – don’t miss this opportunity to meet as many people as you can and make the friends who will be yours for life! Good good…. Very Goood Work !! Thank you Ashwani! Glad you enjoyed it! and thanks for reading! & GET A FREE COOKBOOK!